You have enough to think about – let our legal transcriptions make things even easier! 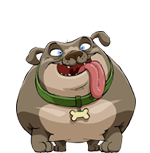 At Alpha Dog Transcriptions we are proud to provide the highest quality legal transcriptions at an affordable rate. We will transcribe your courtroom proceedings, office dictation, interviews & depositions, and much more. Let us become your legal transcription provider today and help you get out from the pile paperwork on your desk. Your privacy and security are our highest priority and every member of the Alpha Dog Transcriptions team is under strict Non-Disclosure and Confidentiality contracts to protect our your valuable and confidential information. Our Quality Control team will ensure you receive the most accurate legal transcripts you’ve ever seen. And we always meet our deadlines! Your transcripts come in the standard legal format all courts, attorneys and others in the legal profession expect. And we’re one of the few transcription companies that offers a signed certification statement to authenticate and guarantee the accuracy and content of your transcripts. Alpha Dog Transcriptions is located hear Hollywood, California but we provide legal transcription services worldwide. All of our clients have come to rely on our accurate and low-cost legal transcripts and insist on only using Alpha Dog Transcriptions after getting their first transcript. Call us today and join our impressive list of legal transcription clients! You may find you want additional services in addition to our outstanding legal transcripts – we can do that too, and a lot more! Accuracy, quality and superior customer service is our goal. 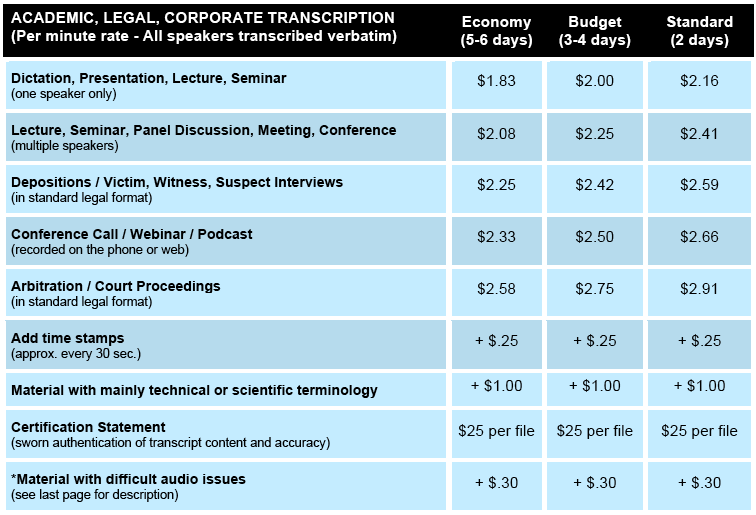 Please email or call us today for a quote on your legal transcription needs. 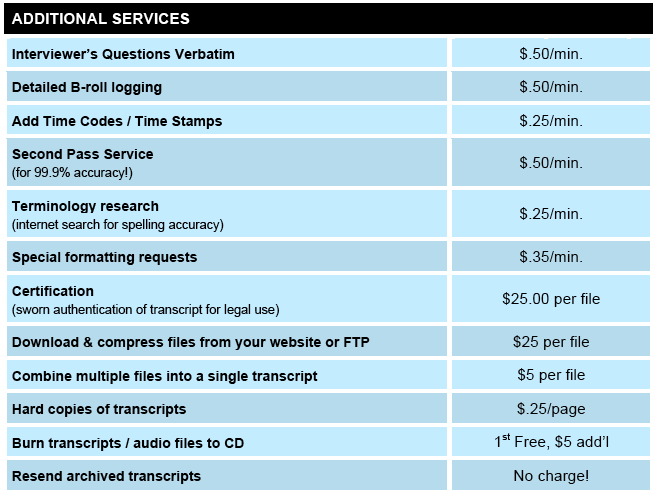 Download our transcription rates and see how affordable legal transcription can be!